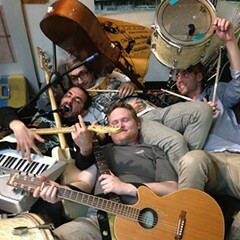 Prolific DIY punk rocker Craig Woods won me over last year with Hot Bagels; he released a slew of gritty, lo-fi recordings with that project, which he launched shortly after moving to Chicago from Philadelphia in late 2013 and has since become a full-fledged band. But Woods has a lot more on his plate than just Hot Bagels, and tomorrow night he'll join together with his cohorts in gnarly punk outfit Pink Eyes to celebrate the release of their self-titled debut at Fizz Bar & Grill. 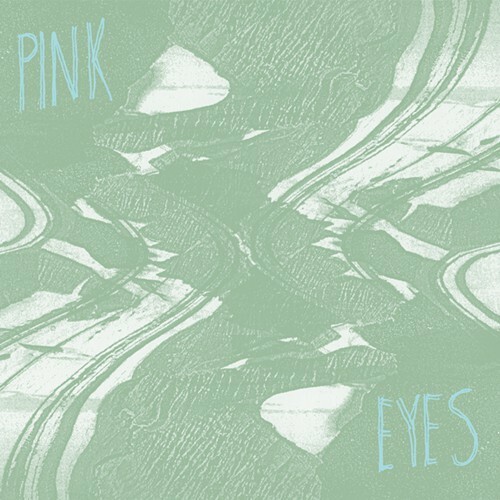 Pink Eyes doesn't actually come out till the middle of the month, but folks who show up at Fizz will be able to grab an advanced copy of the LP. Until then you can stream a few of the songs on Bandcamp. On opener "Swords," Pink Eyes dab their scuzzy punk in bits of garage and emo, and on "Money in the Bank" they take a nefarious turn and sound like they're using their punk energy to burrow into a dark pocket beneath the earth. Stream the tracks below, and head to Fizz tomorrow at 10 PM to catch the show; Truck or Dead Horse, Hate Maxes, and War Brides will help Pink Eyes celebrate their new record.